Children and youth, regardless of their ethnic backgrounds, are experiencing lifestyle choices their parents never imagined and contributing to the transformation of ideals, traditions, education and adult–child power dynamics. As a result of the advances in technology and media as well as the effects of globalization, the transmission of social and cultural practices from parents to children is changing. 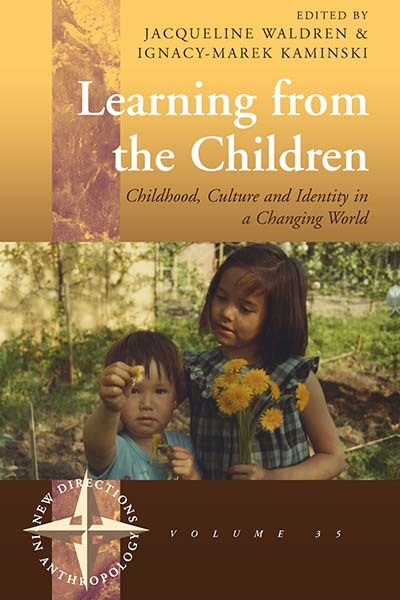 Based on a number of qualitative studies, this book offers insights into the lives of children and youth in Britain, Japan, Spain, Israel/Palestine, and Pakistan. Attention is focused on the child’s perspective within the social-power dynamics involved in adult–child relations, which reveals the dilemmas of policy, planning and parenting in a changing world. Jacqueline Waldren is Research Associate, Lecturer and Tutor in the Department of Social and Cultural Anthropology and International Gender Studies and a member of Linacre College, University of Oxford. Her research on Europe includes identity, gender, migration, tourism and lifestyle changes. Her publications include Insiders and Outsiders (1996), Tourists and Tourism (co-ed., 1997), Anthropological Perspectives on Local Development (co-ed., 2004) and many articles. She is Director of DAMARC, Deia Archaeological and Anthropological Museum and Research Centre in Mallorca, Spain. Ignacy-Marek Kaminski is a Lecturer in Social Anthropology at Mejiro University, Tokyo; Associate Senior Research Fellow in the Department of Social Anthropology at Goteborg University; and Visiting Senior Fellow at Linacre College, Oxford University. He has done fieldwork among the Ainu, Inuit, Roma and Ryukyuans; his research focuses on transitive identity, conflict resolution and leadership. His works are published in twelve languages.